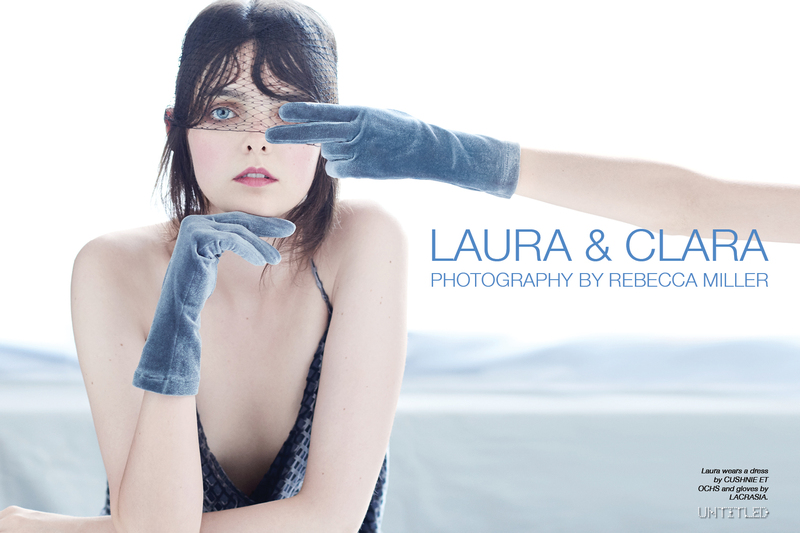 Laura & Clara photographed by Rebecca Miller for The Untitled Magazine Laura wears a dress by CUSHNIE ET OCHS and gloves by LACRASIA. 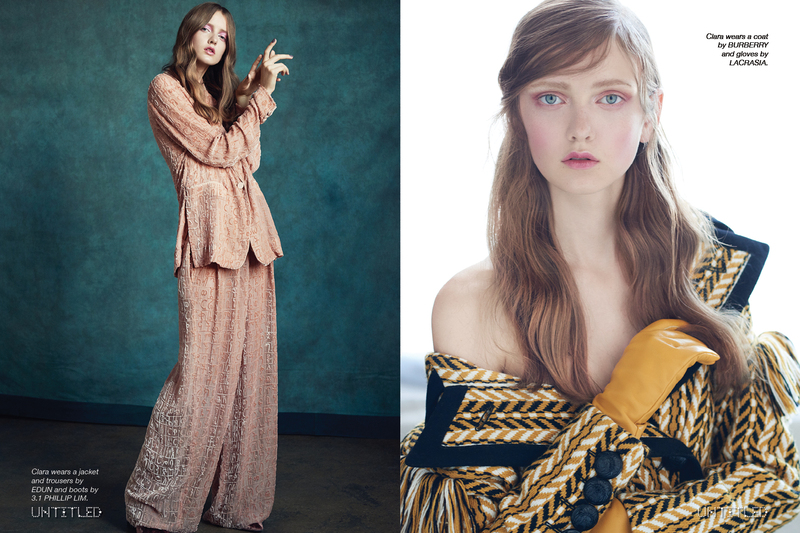 Get your Fall fashion fix in our latest exclusive editorial featuring models Laura O’Grady and Clara McNair in sumptuous velvets and luxe accessories by Versace, Phillip Lim, Burberry, Prabal Gurung, and more. Laura wears a blouse, skirt, coat and heels by PRABAL GURUNG and vintage stockings. Clara wears a dress by PRABAL GURUNG, boots by 3.1 PHILLIP LIM and vintage stockings. Right Page: Clara wears a dress by PRABAL GURUNG and gloves by LACRASIA. Right page: Clara wears a dress by PRABAL GURUNG. Left page: Clara boots by 3.1 PHILLIP LIM, gloves by LACRASIA, and vintage stockings. Left page: Laura wears a dress and heels by ERDEM and vintage stockings. Clara wears a dress by ERDEM, heels by ALTUZARRA, and vintage stockings. Right page: Laura wears trousers and belt by 3.1 PHILLIP LIM and gloves by LACRASIA. Left Page: Clara wears a jacket and trousers by EDUN and boots by 3.1 PHILLIP LIM. Right Page: Clara wears a coat by BURBERRY and gloves by LACRASIA. Laura wears a dress by ALTUZARRA. Clara wears a dress by PRABAL GURUNG and gloves by LACRASIA. Left Page: Clara wears gloves by LACRASIA. Right page: Laura wears a jacket by VERSACE.